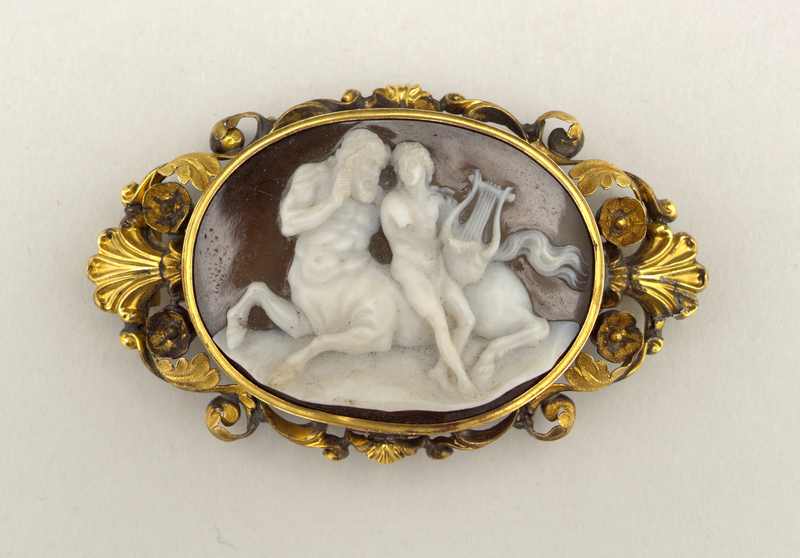 See more objects with the tag mythology, shell, jewelry, cameos, brooch, centaurs. See more objects with the color rosybrown grey black darkolivegreen sienna or see all the colors for this object. This is a Brooch. It is dated mid-19th century and we acquired it in 1920. 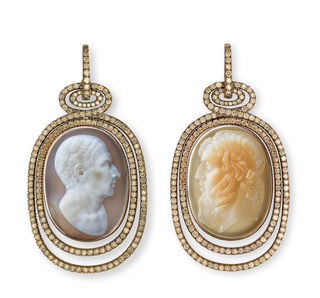 Its medium is carved shell, gold. It is a part of the Product Design and Decorative Arts department. This object was catalogued by Rebekah Pollock. It is credited Gift of Mrs. John Innes Kane.